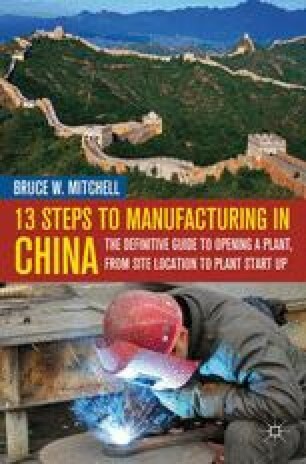 In chapter 1, several reasons were provided that could justify establishing manufacturing operations in China. In chapter 3, trips to various development zones identified potential incentives that were being offered to entice foreign investment. This chapter will provide greater detail of the incentives that various Chinese development zones may offer that may be advantageous.